We love what we do, we're good at, and we have fun doing it! 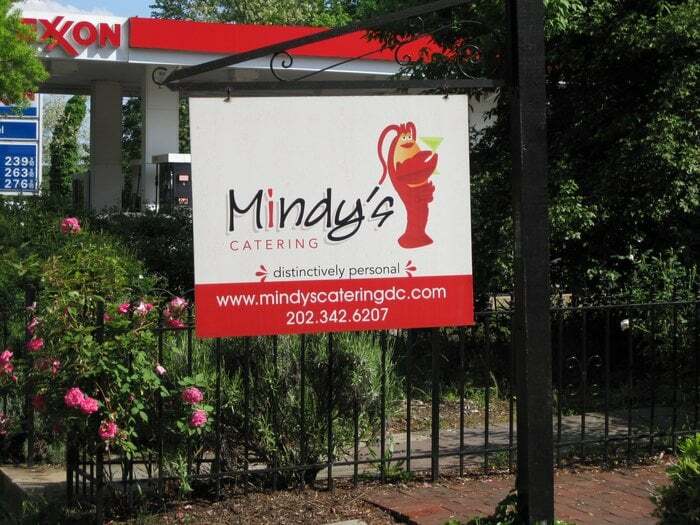 Since 2000, our family-owned and operated full-service social and corporate catering business has delighted customers in the Metro Washington area with personal service and attention that amazes. We have the resources of an industrial-size caterer, but pride ourselves on not getting "too big for our britches." Our customers work directly with the owners and our chef. In addition, our staff has enjoyelong-termrm employment with Mindy's and is considered part of the family — and it shows in all that they do. Every person who works on your event from planning to execution is focused on making a "distinctive" impression. Delicious fare and beautiful décor – every time! And, always with a touch of whimsy like only Mindy's can provide. We cater at private residences, corporate offices, historic homes, and the premier event sites in the Greater Washington area — to the joy of many ecstatic customers. Our menus are a combination of the recipes our chef has developed through the years that please our customers over and over and innovative cuisine as the seasons change. Whether you are ordering a corporate luncheon for 10 or need catering for an elegant wedding for 300, we are committed to providing you not only fresh, delicious fare expertly customized to your tastes, but the most personalized catering service to be found in the DC Metro area. While some change is good, we've built our business one happy customer at a time through attention to every detail and intently listening to what our customers want, and while our customer base continues to build each day through word of mouth referrals, this personalized, hands-on service offering will never change. To Erin, no detail is too small, thus the reason she is one of the most hands-on catering owners in the business. Erin has been with Mindy's Catering since 1995 — and is responsible for planning all aspects of corporate and social events — from small intimate parties to occasions with up to 1,000 guests. Her clients speak highly of her abilities to provide creative menus, outstanding customer service and attention to detail. She balances her role as a salesperson with her role as the business manager with ease. Erin also oversees all purveyors, bakers, party planners, photographers, florists, tenting companies, valets and more. She finds that it is important to maintain a good relationship with high-quality purveyors so that clients special needs may always be met and competitive pricing is maintained to pass on to her customers. Erin is a member of the International Special Events Society, an organization for companies in the event business. This group keeps her informed of industry trends and exposes Mindy's to specialty planners and service providers. Erin is married to Operations Director Bobby White and they have two sons. In 2000 Erin and Bobby planned and catered their own wedding for 200 guests. When Erin works with a Bride, she understands every aspect of the planning and is able to make it all stress free.